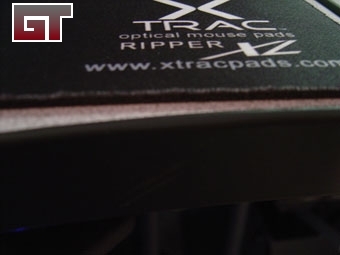 Today we are taking a look at the Ripper XL mousepad from XTrac. 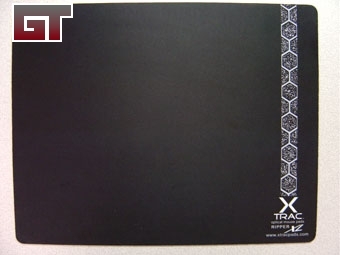 With a cloth top, anti-skid rubber backing, and the biggest surface area I have ever seen, this mousepad might be what you have been searching for. Since I received the pad directly from the factory, rolled up in a crush resistant tube, I don't have any packaging to show you. However, no matter how it is shipped, this pad is virtually indestructible. Short of burning or having something spilled on in during shipping, you should have nothing to worry about. The pad has a very low profile, which is good. The edges of the cloth are well sealed down and should not start to peel up if taken care of. The mousing surface itself is terrific. My optical mouse tracks very well, and there is very little resistance to movement. The back of the pad is coated with a rubberized backing, which prevents the pad from skidding. The Ripper XL also rolls up and can be carried easily despite its big size.